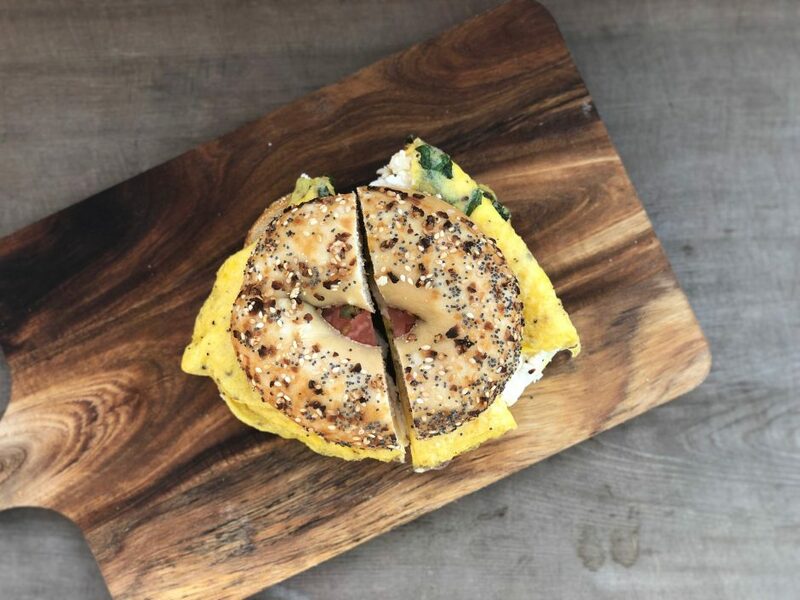 After spending years searching for a bagel in Nashville that lived up to our standards, we decided to take matters into our own hands. 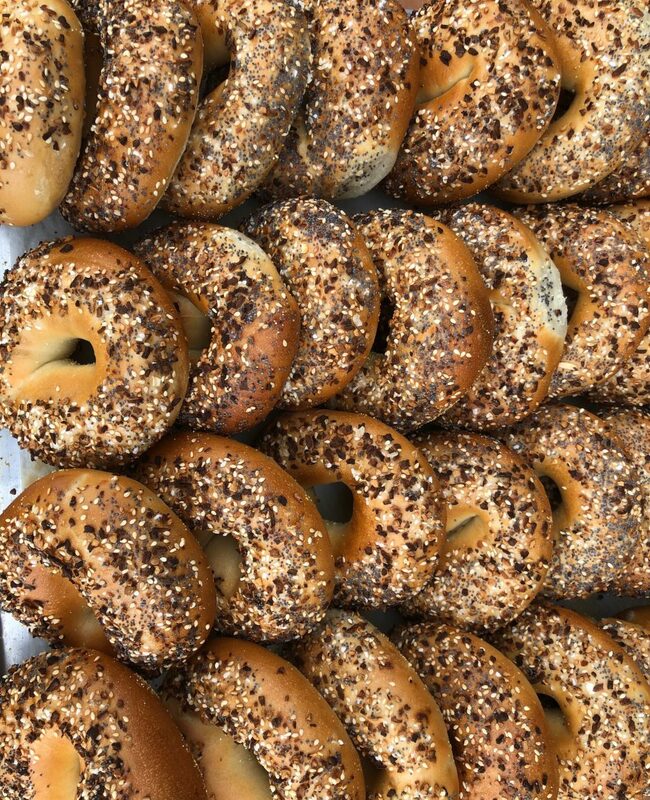 We have perfected our recipe, and our bakers (BAKERY by frothy monkey) are now making Frothy Monkey bagels in house to create the perfect balance of flavor and texture. 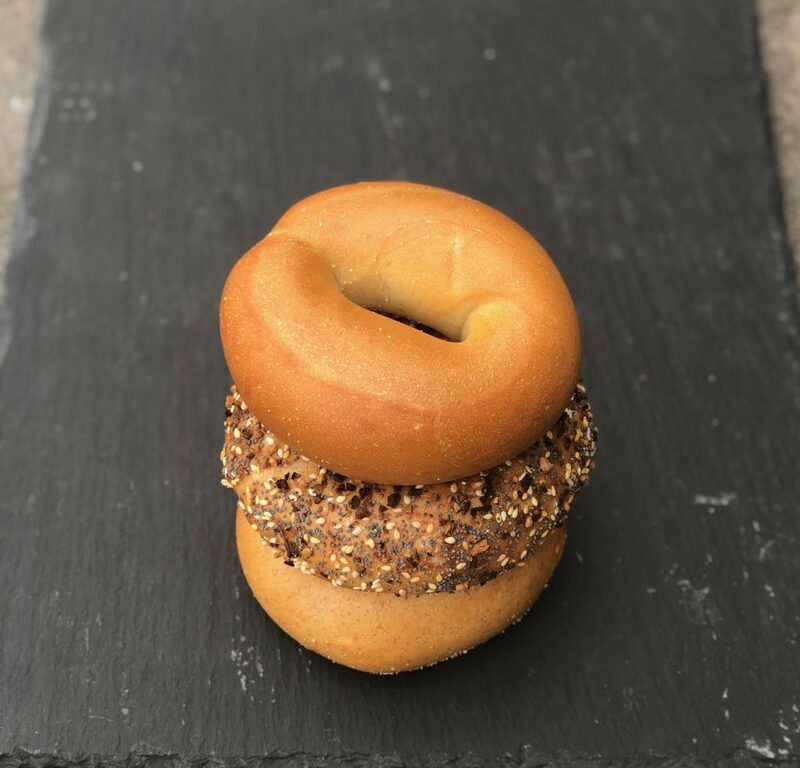 A Frothy Monkey bagel is delicious on its own, or served up toasted with cream cheese. With their soft, chewy texture and fantastic crust they also make a tasty sandwich even better. 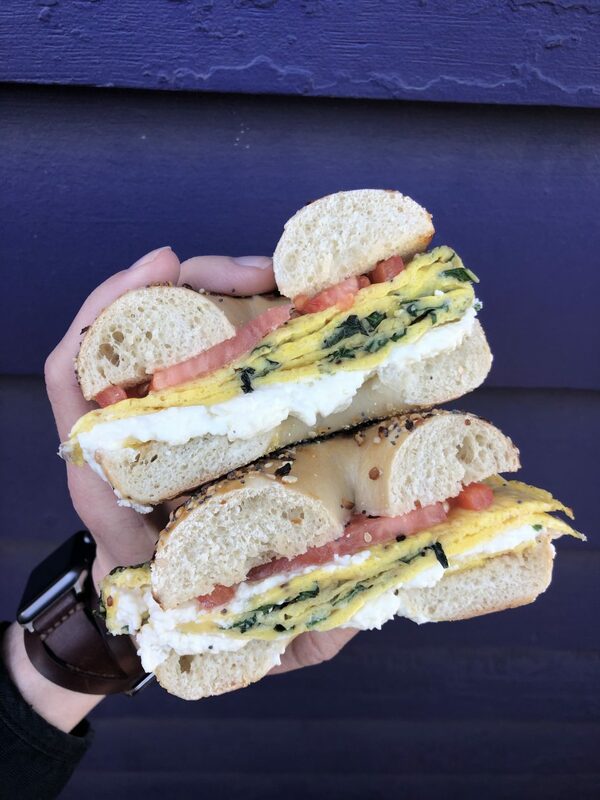 Bagels are now available at all Frothy locations and are also available to our wholesale customers! We have designed Frothy Monkey to be an approachable place to have a meal and gather with friends all day long- a true all day cafe. 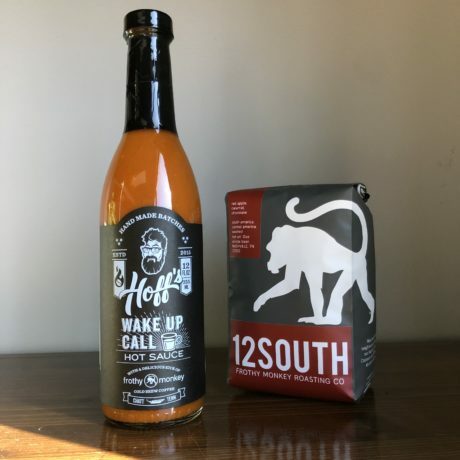 You might start your day off with our locally roasted coffee and a California for brunch, enjoy a Royale for lunch, stop by after work for a glass of wine or a craft beer, or join us after 5 for Shrimp & Grits or a Blackhawk Farms Burger with a cocktail. After 5 is when we have the opportunity to get creative and let loose. 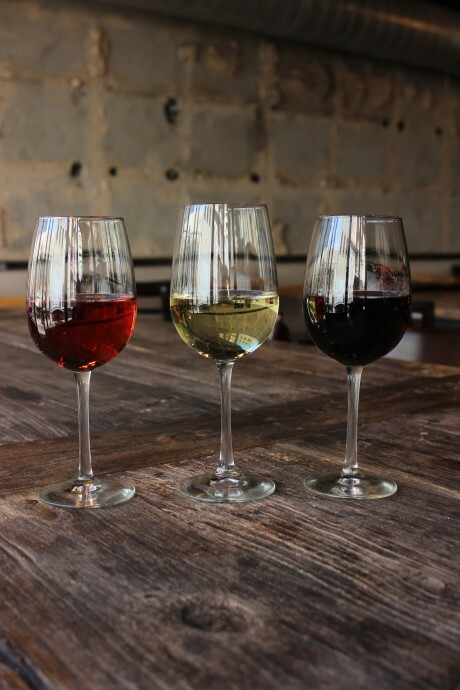 Because Food, Coffee, and Wine are equal parts of the hospitality we serve. Preview our dinner menu here. Wine Love Dinners are scheduled for March 28 + 29, June 27 + 28, August 8 + 9, November 14 + 15. The paired dinners typically take place 6:30pm – 9pm on Thursday nights at our Franklin location, Friday nights at our Nations location. 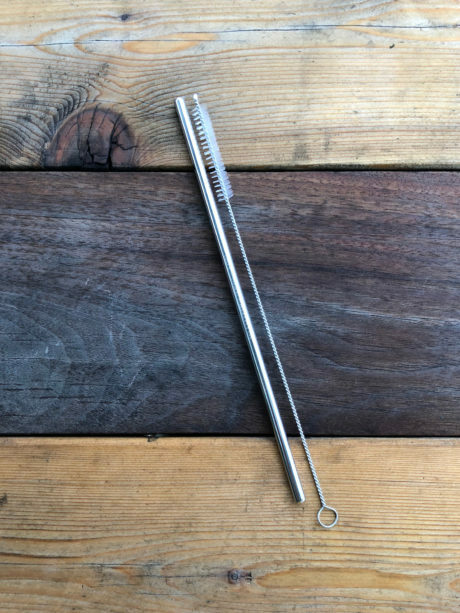 They are a collaboration between Chef Chase Ingalls, BAKERY by frothy monkey, and our wine partners. Tickets are $65++ and are available at frothymonkey.com/winebeerlove. In addition to our traditional Wine Love dinners, this year we will also be hosting beer, whiskey + cigar tasting events. Stay tuned for more details! 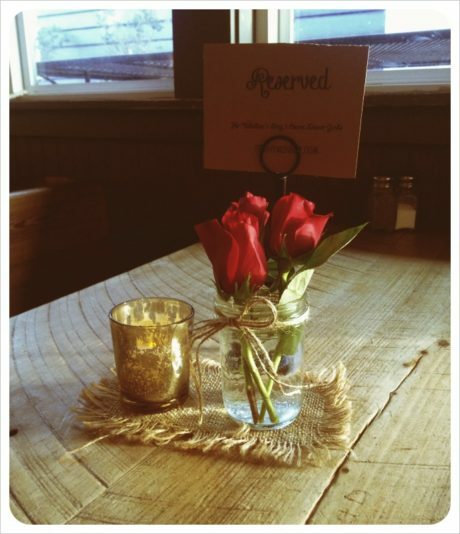 Frothy Monkey’s dinner hours start at 5pm – close. Visit frothymonkey.com/menu for dinner selections. 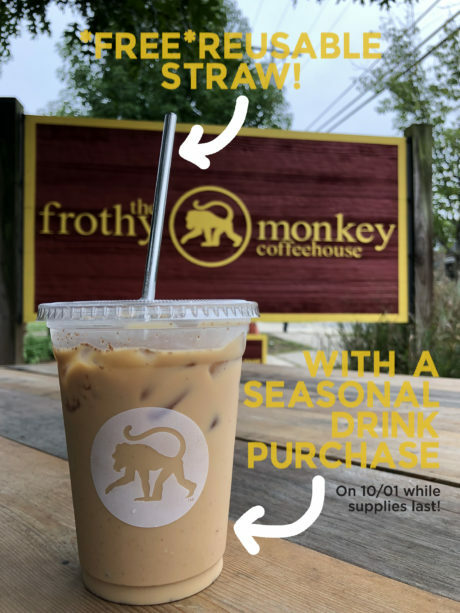 Follow @frothymonkey on Instagram and Twitter for daily dinner specials, Wine Down Wednesday detail and all of the latest news and happenings. 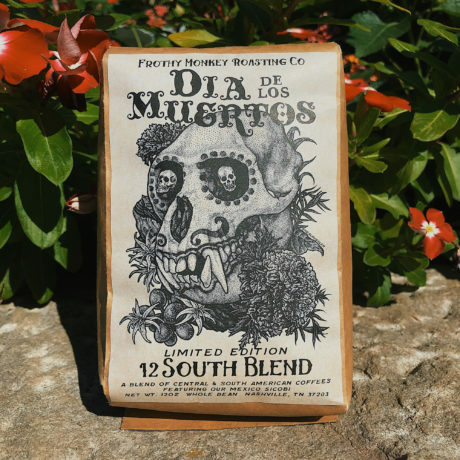 Join us at CoffeeChamps when in comes to #Nashville on 1/12-13! CoffeeChamps is caffeine-packed weekend event, featuring the Qualifying Competitions for the U.S Coffee Championships. Coffee professionals from all over the United States compete to enhance and show off their skills as Baristas, Brewers, Roasters, and Tasters. The champions from the U.S. Coffee Championships will represent the USA at the World Championships. CoffeeChamps also features a free cafe & roaster village, vendor marketplace, brewing demonstrations, and so much more! Thursday, November 15th @6pm at Frothy Monkey in The Nations. 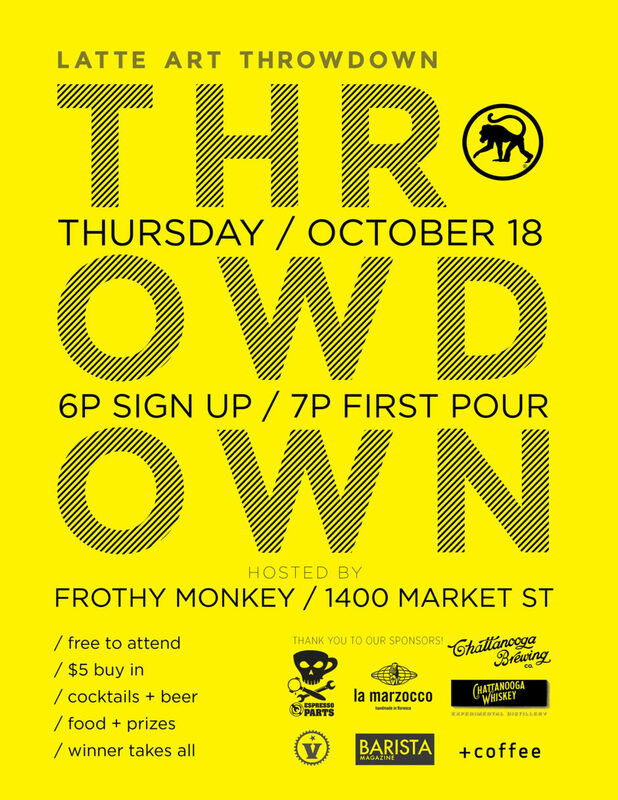 Limited tickets are available at frothymonkey.com for $71 and include paired beverages, tax, and gratuity. We invite you to a 10 seat, 4-course dinner at Frothy Nations, featuring lamb from Hatcher Family Dairy. Chef Chase has prepared an exclusive meal to share with you that will be paired with wine, and a dessert cocktail incorporating Hatcher Dairy. Hatcher Family Dairy has been family owned and operated since 1831 in College Grove, TN. 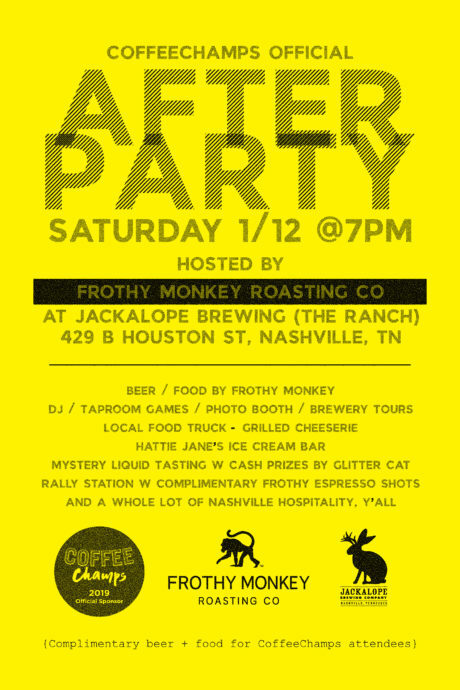 We are proud to exclusively use Hatcher milk at all Frothy Monkey locations!